Gluten free at soft play! I had a useful recommendation recently from Mark Hetherington about Medieval Mayhem soft play near Kelham Island and Hillfoot, where he’d taken his daughter and had a good gluten free experience. The chef was able to do a variety of gluten free options including sandwiches, pizza and chicken nuggets! Although not all the staff were up to speed on gluten free catering, the chef clearly seemed to be. 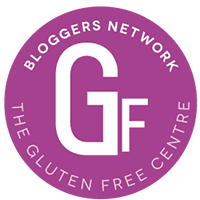 It’s not always easy to find gluten free food for kids when you’re out and about, and soft play centres can be particularly tricky so this appears to be a good find. It’s probably worth calling in advance of your visit (in case it’s a different chef) to discuss food. Tags: GFsheff, gluten free soft play. Bookmark the permalink.